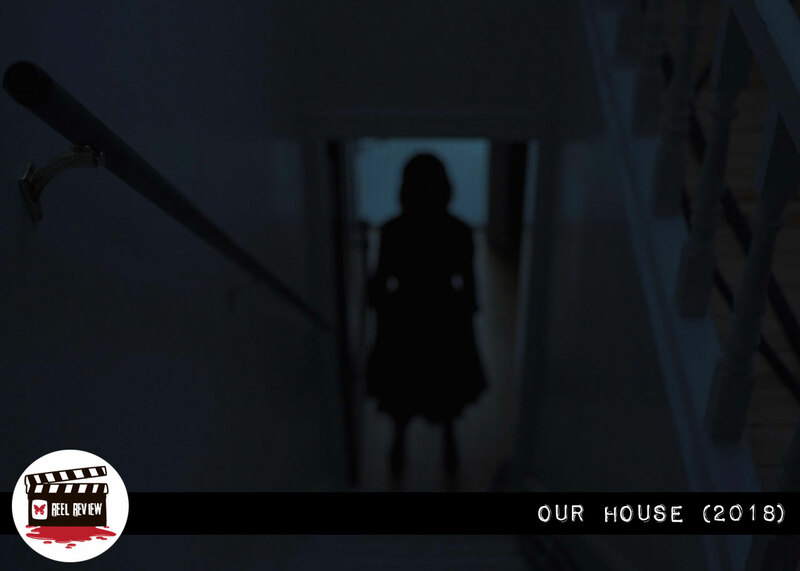 The unexpected and beautifully crafted “Our House” arrives as a haunting addition to IFC Midnight’s impressive library of must-see horror films. The studio IFC Midnight has had a number of recent horror hits in 2018, including: THE DEVIL’S DOORWAY, FERAL, PYEWACKET, THE HOUSEMAID, and more. The newest film from IFC Midnight is director Anthony Scott Burn’s OUR HOUSE. Ethan (Thomas Mann), a highly intelligent science student at a local college, builds a machine that he hopes will provide wireless electricity. 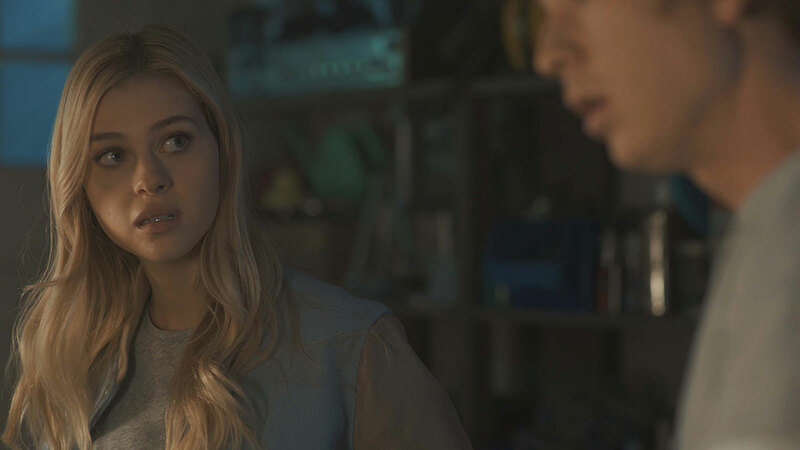 The co-creator of this invention is Hannah (Nicola Peltz), another highly intelligent science student who happens to be dating Ethan. During an on-campus experiment to get their invention running, two unexpected events occur: the machine blows out all the power on campus, and the machine seems to contact an entity. 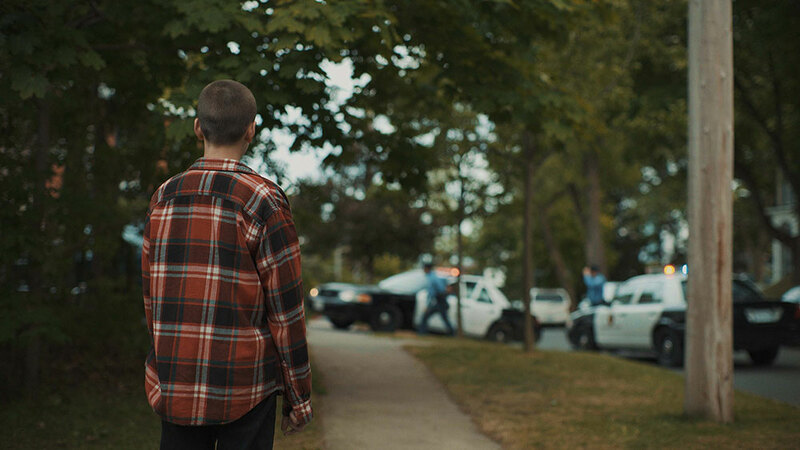 When the power blows and the machine shuts down, the entity disappears before it’s seen by Ethan, Hannah, or their friend who is assisting them, Adnan (Aaron Hale). Coincidentally, or perhaps not, while the experiment is running, Ethan’s parents are involved in a deadly accident. The parents leave behind Ethan, his younger brother Matt (Percy Hynes White), and his sister (and youngest child) Becca (Kate Moyer). Months after the parents’ death, Ethan is raising his two siblings in the family home, out of school, and holding a day job to pay the bills. But he’s still tinkering with his invention in the garage of his house, while picking up parts for his machine at the electronic parts store he works at. 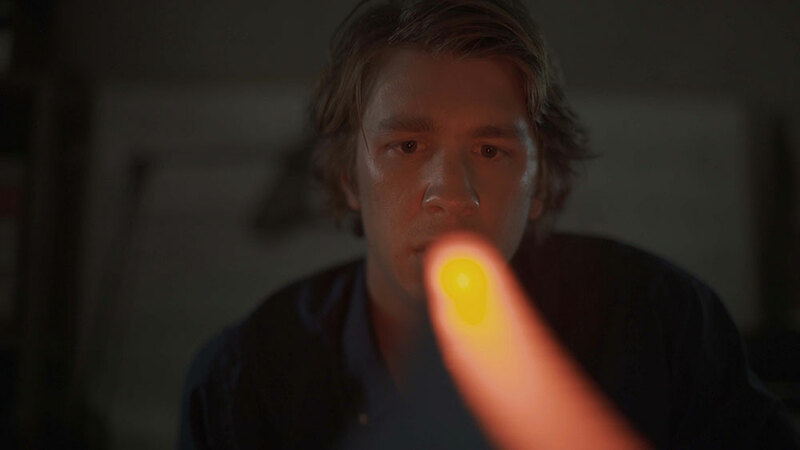 As Ethan tries to deal with the grief he and his siblings are feeling, he gets closer to his invention working, but not in the way he envisioned. His machine opens up a conduit for ghosts to come through and communicate with Ethan’s family in the house. As the machine’s power increases, its reach extends beyond the perimeter of Ethan’s home and begins to affect the neighbors. The problem with opening a door to the dead is that one may call upon ghosts that were not intended to be called upon. Did Ethan contact his recently deceased parents, or something far more sinister? OUR HOUSE has many elements that, in my opinion, are key to a strong ghost movie. The performances from Thomas Mann, Percy Hynes White, and Kate Moyer are exceptional. They anchor the movie in believability in the family, and portray the anger, confusion, and sadness that occurs when a loved one is taken much too soon. Anthony Scott Burns builds a solid movie around the story of Ethan and his siblings. Burns allows the audience to get to know this family, and when the horror comes, it hits even harder because we’ve come to like this family and want them to be able to find healing from their grief. The design of the ghosts is not something you see in recent movie, as recent movies find inspiration in James Wan influenced ghosts. The ghosts in OUR HOUSE are smoky, but solidify as the machine continues to run. The ghosts have a shape, but no defined features. As the mystery unfolds and the ghostly activities strengthen, the story of the house and the spirits residing within is revealed. 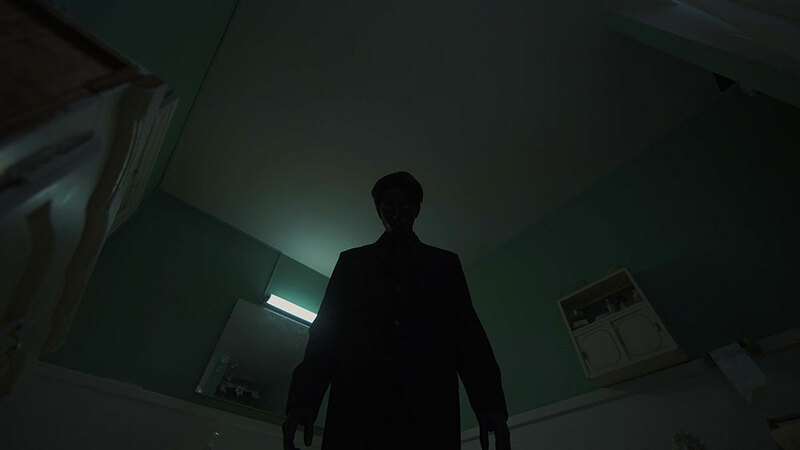 OUR HOUSE is a solid ghost thriller with some strong scenes of fright. There is a scene in particular involving Matt, Becca and Hannah that is one of the more tense moments in any film this year. IFC Midnight has delivered another hit, and a horror movie that I believe will be incredibly well received by horror audiences. The film debuted at Fantasia Fest on July 22nd, and makes its theatrical and VOD premier on July 27th.